At the first sign of ants in the kitchen or any other pest problem you should contact a Sturbridge pest control provider to help completely eliminate the problem and prevent future infestations. Pest such as termites, mice and carpenter ants can damage the structure of your home. Rodents including mice will chew through insulation, wires, and pipes which can lead to fires and water damage. Carpenter ants will bore holes in the wood to use as nesting areas which can reduce the structural integrity of those areas. Termites often go unnoticed and can cause substantial damage to the structural wood in your home over a period or months or even years. Along with property damage, pests can introduce diseases to you and your family, contaminate food and areas where food is prepared or stored. Mice will enter Sturbridge homes foraging for food and will walk across your kitchen counters, through cabinets and behind appliances leaving their urine and feces behind. Rodent droppings that can be hazardous to health also tend to accumulate in areas where they nest, which include behind kitchen appliances, garages, attics and other storage areas. Diseases that mice can transmit include Salmonella and the Hantavirus along with many others. Ants, spiders and pantry pests will also get into your kitchen and contaminate your food if not stored properly. As a homeowner there are things that you can do both inside and outside of your home to help prevent and deter pests from choosing your home as their home. Clear debris such as leaves, stumps and other organic materials from your yard. Store woodpiles away from your home. Keep trash cans away from your home and secured with a tight fitting lid. Install a chimney cap and cover vents with durable mesh. Seal any cracks or crevices in your home’s foundation. Caulk any gaps around windows and doors. Store food in the refrigerator or in sealed containers. Clean up spills as soon as they occur and don’t forget to remove grease build-up on kitchen appliances. Routinely remove garbage from your home and do not leave dirty dishes in the sink overnight. Check out these other pest prevention tips from Big Blue Bug Solutions! 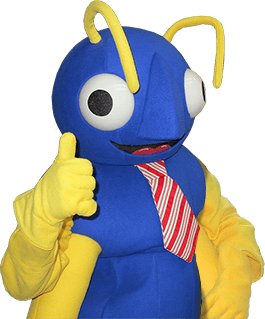 If you are worried about ants and other pests taking over your home, trust the pest control experts at Big Blue Bug to help you achieve and maintain a pest free home. Contact us today to learn more about our home pest control in Sturbridge. We also provide commercial pest control in Sturbridge. Learn more about our MA pest control services by contacting us today.